Conventional wind turbines, towering over 150 feet into the sky, are known for being noisy and less viable in urban settings. Walking around town, one day, Jérôme Michaud-Larivière came upon a brilliant idea when he saw the leaves of the surrounding trees quiver in a light breeze. 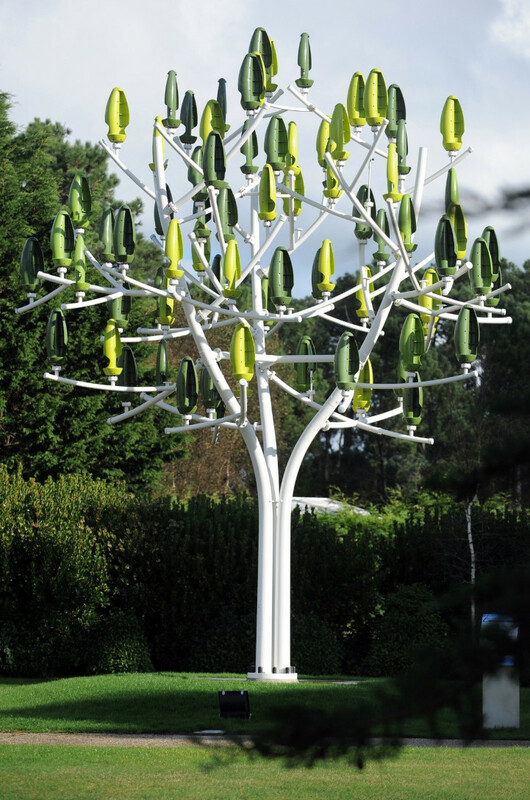 Fast forward three years, and we have the incredibly innovative ‘Wind Tree’, designed by the French company New Wind. 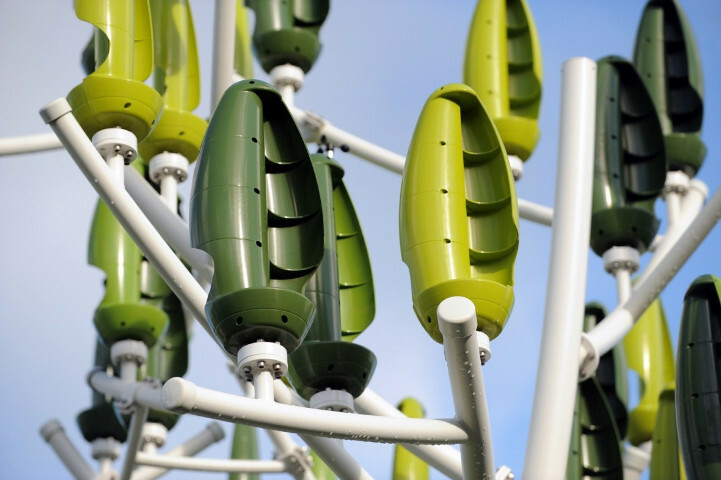 Measuring up to 26 feet in height, this artificial tree harvests wind energy, with the help of highly specialized plastic leaves. The idea came to me in a square where I saw the leaves tremble when there was not a breath of air… [the energy] had to come from somewhere and be translatable into watts. The design of this miniature wind turbine, developed by a group of French engineers after three long years of research, is ideal for urban locales. 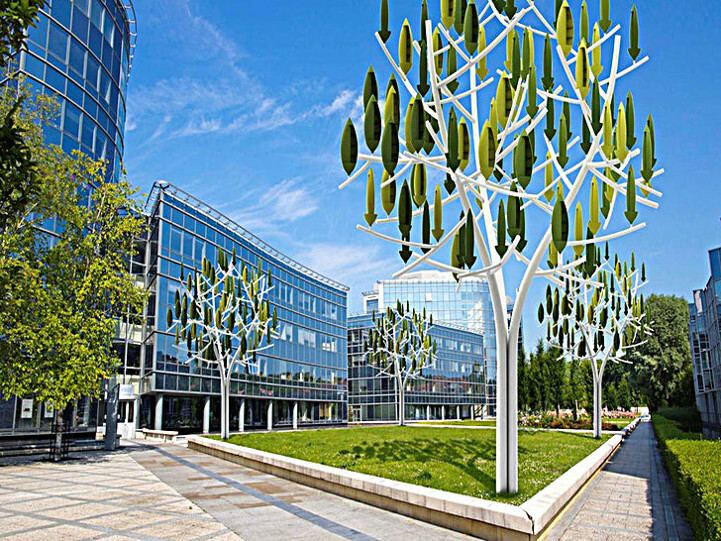 As opposed to traditional wind turbines which are usually situated far away from the city centers, the ‘Wind Tree’ aims at harnessing energy from the gentle air currents traversing in between the buildings and streets. The tiny rotating blades, in the leaves, can produce electricity, at wind speeds of just 4.5 mph. 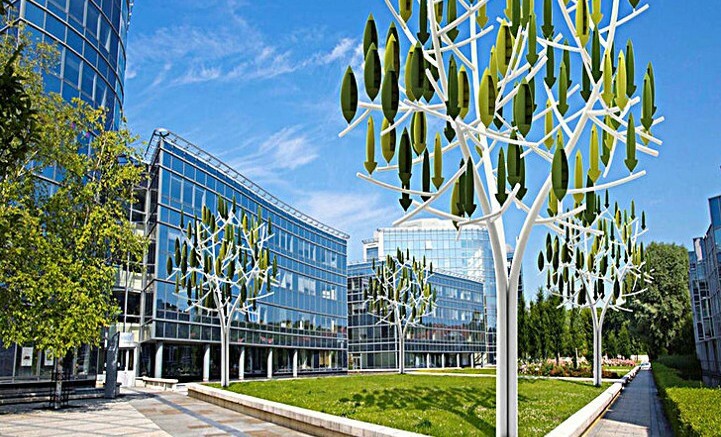 Furthermore, the blades operate noiselessly, thereby making the tree less intrusive than the conventional wind turbines. While the contraption has not yet been tested in a laboratory, Michaud-Larivière believes that it will prove to be profitable after only a year of average wind speed of 7.8 mph. 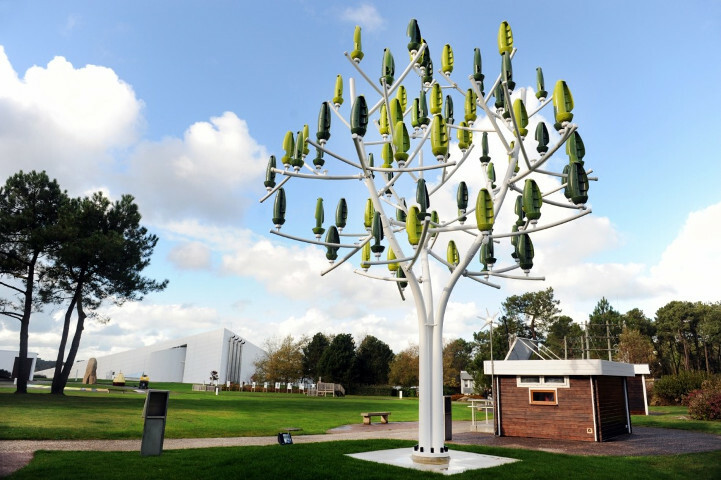 He is hopeful that the ‘Wind Tree’ will be a valuable addition to people’s home, gardens, shopping arcades and parks. The electricity generated will likely be enough to power LED street lamps as well as charging stations for electric cars. In the future, this technology can be combined with other energy harvesters such as solar panels and so on. 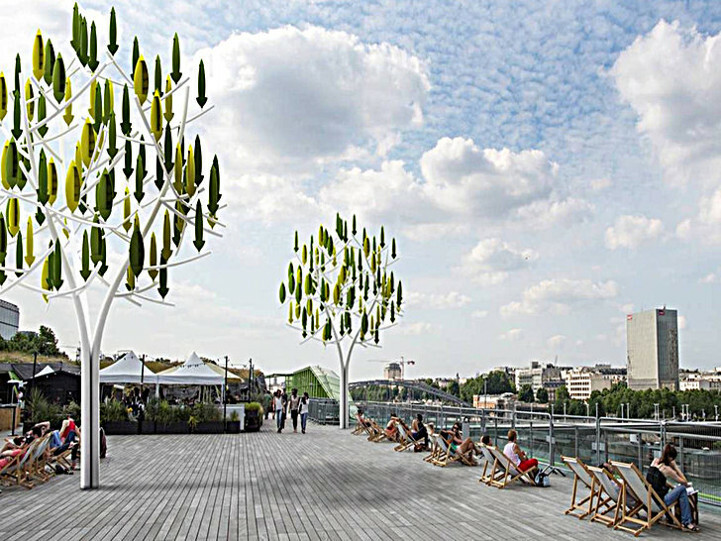 Priced at $36,000 (£23,500), the ‘Wind Tree’ will be officially launched in May, next year, at Place de la Concorde in Paris. Check the official website of New Wind to learn more about the project.